Thinking like a plant involves a process of allowing our thinking to become as alive and flexible as nature itself. One aspect of this living form of thinking is cultivating an open ‘receptivity’. Ralph Waldo Emerson referred to this as ‘sauntering’. We do not need a particular focus, other than opening out to the world and watching what catches our attention, without going into great detail. This capacity for receptivity needs to be ‘exercised’, like the practice necessary in learning to play a new musical instrument. In the workshop Craig asked us to ‘saunter’ around the gardens for 10 minutes but he said that an hour would be more appropriate. This practice allows for a slowing down that is almost antithetical in our culture. It develops a presence of mind that notices what comes toward us in life rather than relying on our discerning capacities which lead us to be critical and to judge. There is so much in Nature and in life that we miss, especially when we are overly focused on specifics. Developing the practice of ‘sauntering’ can help us to regain some of what we habitually miss and give us a richer, fuller experience of life. The next aspect of the ‘living thinking’ that we were aiming to develop was to focus in on the details of life as exactly as we possibly could. 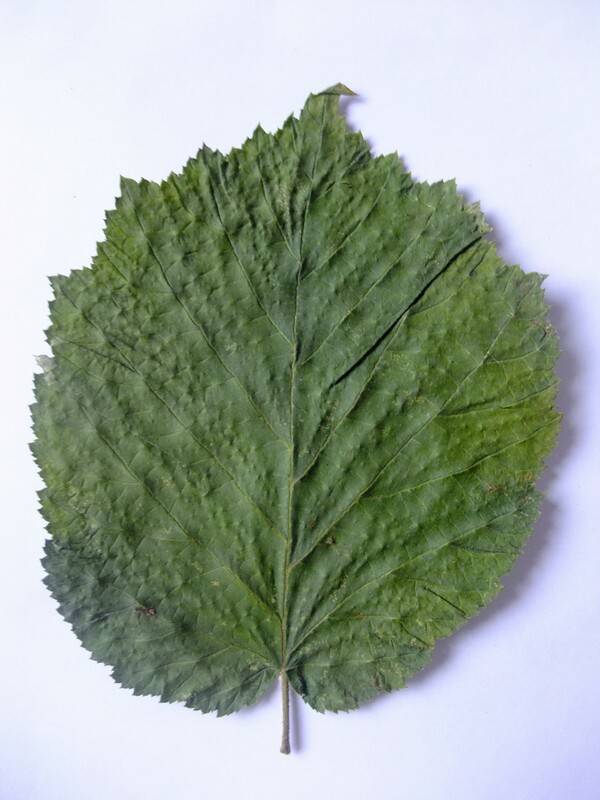 In a circle we described a Hazel leaf, not what we felt or thought about it but what we saw, exactly in front of us. This was to focus us on our exact sense perception. Sauntering leads us out into the world, focusing leads us in. Science today gets lost in the detail but a whole approach to life such as Goethean Science moves back and forth, in and out of detail. Craig stressed that focus is just as important to openness, as if we don’t go into detail then we are not really seeing the world. Through exact sense perception we can take the time to notice and describe details without worrying about understanding them. By doing this the details of relationships also start to emerge, like the contrasting elements that appear when we pay attention to the two very different sides of a leaf. When comparing details insightful ‘aha’ moments emerge as the qualities, expressions and characteristics of the plant begin to reveal themselves. The next aspect of ‘living thinking’ was to deepen our exact sense perception by visualising our experience in our imaginations, Goethe called this Exact Sensorial Imagination. We can re-picture our sense experience of the leaf by remembering exactly how it felt to touch, what its edges looked like, how the veins came out of the stem, the different colours of leaf apparent on both sides, etc etc. We each do this re-picturing process differently. Some people have a type of memory that allows for the ‘whole’ picture to be recreated at once, some people need to work through it and move around it bit by bit. What is profound is that by doing this re-picturing we realise that the plant has left an impression on us. The sensory experience that we can re-create in our imaginations is not fantasy, as long as we stick to what exactly we experienced. This process also shows us what we have missed or not paid attention to. By exercising our exact sensorial imagination we are connecting ourselves and the plant inwardly in a way that we could not achieve otherwise. This builds a mobile plastic inwardness that allows us to perceive the plant more vividly and vibrantly. To compare our exact sense perceptions we all passed our leaves around the circle, so that for a short time we could each see and experience everybody’s leaf. If we just take one example of something and base our knowledge upon that it can be very dangerous. It is just one instance, one expression. By comparing and looking at different instances we can notice generalities but we can also notice lots of difference. Henri Bortoft said that this enables us to see parts of life “being themselves differently”. A plant is an activity that brings forth the ‘same’ but always in different ways. The process of a ‘plant’ is a dynamic that brings forth difference. By seeing 20 leaves that were the ‘same’ but ‘different’, as a group we were able to get a sense of quite how dynamic a ‘leaf’ is. We then explored context. We can take something out of its context to focus on it but we must then do our best to reintegrate it back into context. 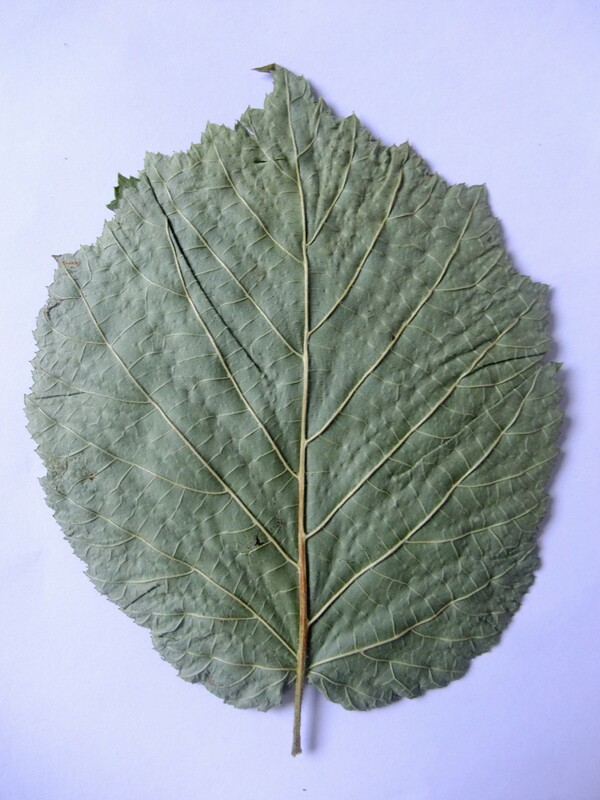 We can look at which bit of the stem the leaf came from, which part of the plant or tree, and what the conditions of its location are, such as sunny or shady, to see how its unique form might be expressing the environment that it is in. By becoming context sensitive we start to see that life is always connected to the context in which it is unfolding. Focusing our attention to life through exact sense perception and opening to it through our imagination and ‘sauntering’, gives us a closeness that we might not have otherwise had. By engaging in a direct relationship with a part of life we naturally start to welcome and feel grateful for its presence. Through practicing a longer study of a tree or a plant we can get a sense of how it is being in the world, not just what is it. This allows us to have a much deeper and richer experience of the world in a way that requires us to be active not passive. During the workshop we used drawing exercises to find different ways of experiencing what is there. This allowed us to use drawing as a tool to focus our attention, not to focus on creating a work of art. Craig teaches this method of studying life as a way to get out into the world and out of our head, without losing our heads. He believes that we can grow through the life that we study, to understand more of life. Taking the time and energy to acknowledge the wonders that plants display, and are, to the world can enable us to find a way of knowing that is more appropriate to the plants themselves, rather than just trying to ‘explain’ them through mechanisms. As a teacher, letting people experience and reflect is a good way to engage students in learning. This approach as an educational method is experiential and allows the world to speak for itself, to the student themselves. Walk around the tree of your choice and have a first meeting with it. Write down your first impressions of it. 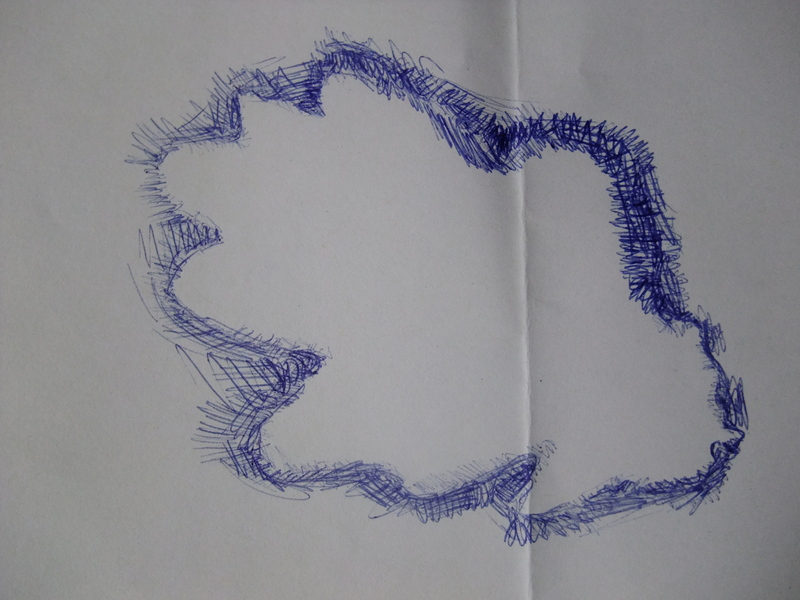 Do a ‘negative space’ drawing of a leaf. Instead of drawing an outline, leave the ‘leaf’ white and shade in the edges to re-create the leaf shape. 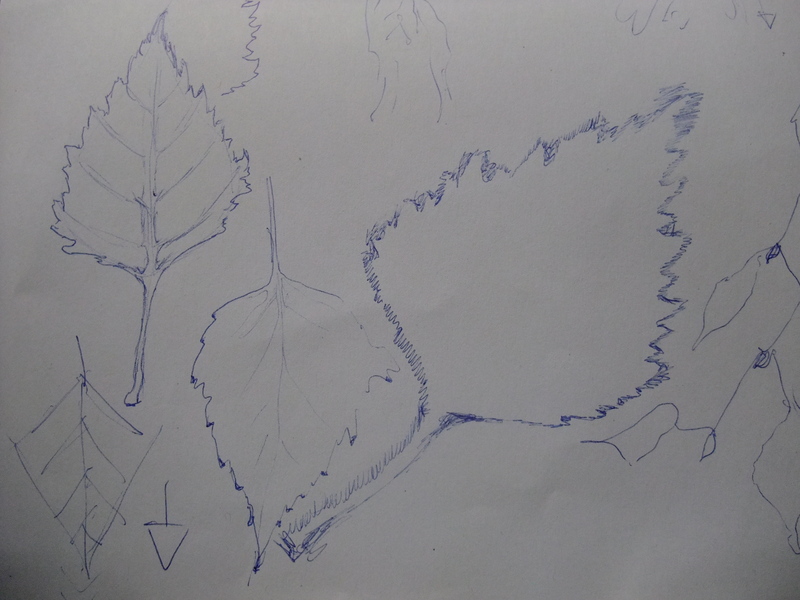 Now draw the leaf outline paying careful attention to what you are exactly seeing, not just drawing your ‘idea’ of the leaf. Imagine the leaf coming into and out of being. All forms in life come out of movement and by re-tracing that we can come to kind of inner movement. Take a branch and observe from the bottom upwards. Notice the stem, the leaves, the buds, notice how they are joined and related to one and other and how they are arranged. Walk around and find different examples of the same tree, notice how the ‘same’ tree is expressing itself differently. Repeat all previous exercises with a different type of tree. Use Exact Sensorial imagination to bring your sense perceptions to life in your imagination, either during the observation or at the end of each session or each day. By moving from one tree to another, through the medium of us, the characteristics of different types of trees can be illuminated. 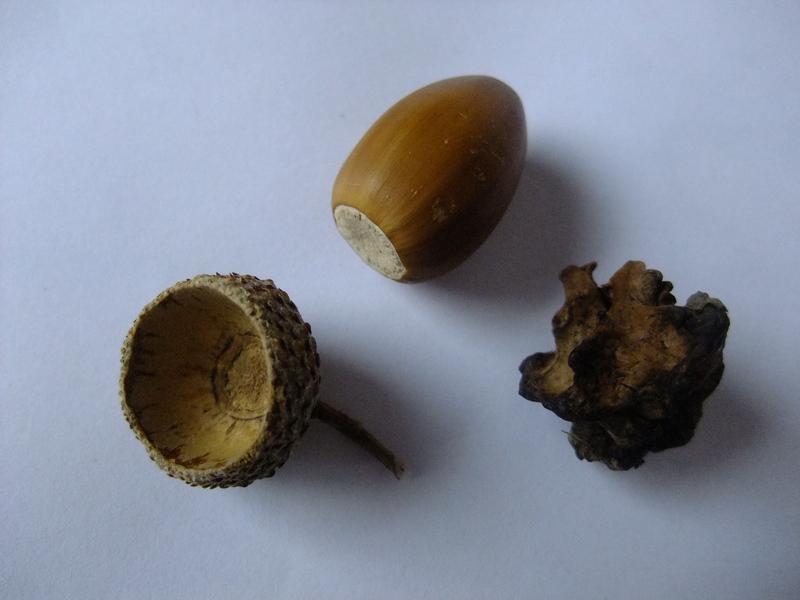 For instance, your experience of ‘Oak’ will inform your experience of ‘Birch’. This entry was posted in Uncategorized and tagged A Pathway to Living Knowledge, Craig Holdrege, experiential education, Goethean Science, Henri Bortoft, phenomenology, Phenomenology of Nature, south devon steiner school, Thinking Like a Plant on September 29, 2014 by roseyenglishangel.